FRANKLIN, TN – Dealers Auto Auction Group has a long history of giving back to the community. Every year DAAG supports many local charities throughout the course of the year. DAA of Huntsville just celebrated its 14thAnniversary sale, with over 1000 units consigned and over 60% sold and raised more than $15,000 for the Make A Wish Foundation. DAA of Huntsville equally has raised over $55,000 for the local YMCA and American Cancer Society in 2018. 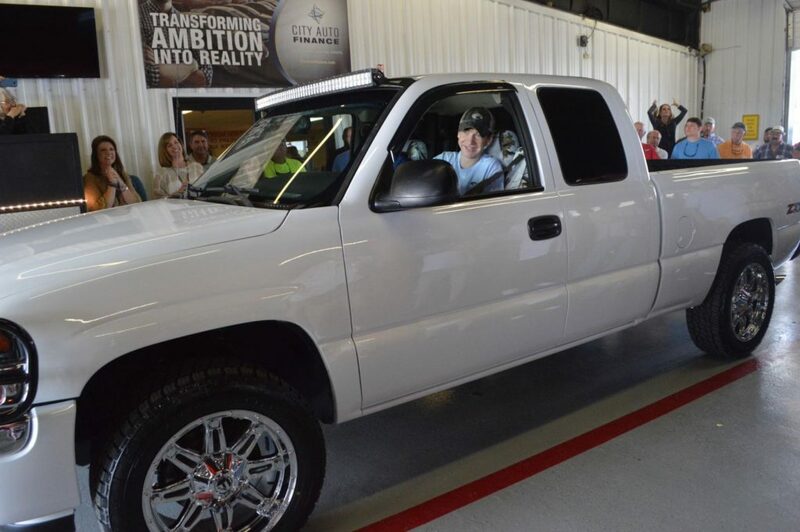 Ian Thomson drives his newly renovated truck for the first time in April 2018 after the Make A Wish Alabama Foundation and Dealers Auto Auction of Huntsville partnered together to grant his wish. Dealers Auto Auction Group, which has 7 locations across the mid-south, holds special events at each of their locations. DAA of Memphis has raised over $8,700 for organizations like the Boy Scouts of America, St Jude, American Cancer Society and their local food bank. DAA of Murfreesboro supports Mission Forces and has raised over $33,000 in the past year. DAA of Chattanooga has raised over $10,000 for Toys for Tots, Forgotten Child and the American Red Cross. DAA of Mobile has raised $600 for Team Focus, a local youth organization.